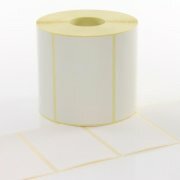 Our range of low cost self-adhesive paper labels are ideal for general labelling. They have a strong adhesive and can be applied to most clean, dry surfaces. They produce an excellent quality print when used in conjuction with our General Purpose print ribbons.